New book, 218 b&w and 360 colour photos. 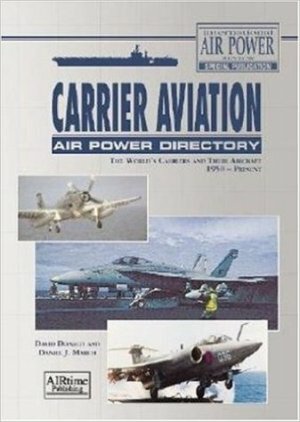 This truly unique and fully up-to-date reference work covers every aircraft carrier currently in service and/or having served during the past 50 years. Arranged country by country, this new book features a detailed history of each nation's carrier development, procurements, and combat action, and includes: Entries for every aircraft type, its variants, missions, specifications, weapons and operators; Entries on every fixed-wing carrying vessel, specifications, key dates, and air wing details; Details of chains of command, orders of battle for current assets, and 'snapshots' of historic orders of battle; Descriptions of carrier operations, including deck systems and launch and recovery procedures. Beautifully illustrated with hundreds of color and black and white photos.